Circumstances - 10 year old Bradford Pholi was last seen leaving his home at Dundas, Sydney on 26 December 1982. He intended on travelling by train to Newtown to visit a relative, however he never arrived. Bradford has not contacted family or friends since this time. There are grave concerns for his welfare. Minister for Police Michael Daley today announced that the NSW Government would offer a $100,000 reward for information relating to the disappearance of 10 year old Bradford Pholi in 1982. Mr Daley said the reward offer came ahead of the final day of the coronial inquest into Bradford's disappearance and presumed murder. "Bradford was last seen leaving his home in Warwick Road, Dundas, on Boxing Day 1982," he said. "He was heading to Eastwood Train Station to go to his aunt's house in Newtown, but never made it. "His mother, who died in 1986, and an unidentified man reported him missing at Eastwood Police Station. "I hope that this reward offer will encourage anyone who lived in the Dundas, Carlingford, Eastwood, Parramatta, Ryde or West Epping areas in 1982-83 to think back to that day and contact Police if they remember seeing Bradford walking along their street. "It was Boxing Day, someone must have seen Bradford walking alone as they were putting the rubbish out or trying out their Christmas gifts in the front yard. "His brother Bernie and sister Anita, then aged 11 and 13 respectively, have spent 27 years wondering what happened to their little brother - they deserve closure," Mr Daley said. Rosehill Local Area Command Crime Manager, Detective Inspector Darren Newman welcomed the NSW Government reward offer. "I would ask anyone who saw Bradford that day to contact us, so his surviving relatives can know the truth," he said. "Cold cases are difficult to solve, but the passage of time and this reward offer may encourage someone with a guilty conscience or someone who may have been told something about the disappearance to come forward. "I would like to speak to anyone that may have knowledge of individuals living in that local area at that time who displayed unusual behaviour particularly towards children. "There is no doubt someone has either direct or indirect knowledge about this disappearance," Mr Newman said. Anyone with information should contact Crime Stoppers on 1800 333 000. Information will be treated as strictly confidential and may be given at any time of the day or night. Deputy State Coroner Milovanovich will be releasing his findings into the disappearance and presumed murder of Bradford Pholi on Thursday 17th December 2009. The case of a boy, who went missing after leaving his home in western Sydney 26 years ago, will go before a Coronial inquest this week. Bradford Pholi, aged 10, was last seen by his mother leaving his home in Dundas on Boxing Day 1982. He was supposed to travel to his aunt's home in Newtown but never made it. Bradford's mother and an unidentified man reported him missing more than 24 hours later to Eastwood Police Station. The cold case is now being investigated by detectives from Rosehill Local Area Command. The inquest will attempt to establish what happened to Bradford and will focus on establishing the identity of the man who reported him missing. His mother died in 1986. Bradford's brother and sister, who were aged 14 and 12 at the time, are being called to give evidence at this week's inquest. Rosehill Local Area Command Crime Manager, Detective Inspector Darren Newman, who is leading the case, will outline his investigation at the inquest. "Something that has troubled me and other investigators over the years, is how such a young boy can seemingly vanish without a trace?" Det Insp Newman said. "There is no doubt that either a relation or someone who was close with the Pholi family holds vital information about what happened to Bradford. "It is vital we attempt to establish the identity of the mystery man who went with Bradford's mother to report him missing. "We hope this inquest will help unearth information about him that as yet remains secret. "While cold cases are often difficult to solve, the passage of time does provide the opportunity for someone with a guilty conscience to come forward. "Someone must have direct or indirect knowledge about the disappearance," he said. Anyone with information about the case is urged to contact Crime Stoppers on 1800 333 000. The case will go before the Deputy State Coroner at Westmead on Tuesday. WHEN he disappeared 26 years ago at the age of 10, Bradford Pholi was thought to have fallen in with a gang of runaways at Kings Cross. Now, with an inquest finally being held into the Dundas boy's disappearance, a scenario closer to home seems likely. Police revealed yesterday they were searching for a man who accompanied Bradford's mother Lorna Pholi to the Eastwood police station to report him missing. Ms Pholi died in 1986 but Bradford's brother and sister, who were 14 and 12 at the time of his disappearance, will be called to give evidence at the inquest, which begins tomorrow. Detectives who are investigating Bradford's disappearance yesterday issued a statement appealing for information ahead of the inquiry but refused to speak directly to The Daily Telegraph. Detective Inspector Darren Newman said he believed those close to Bradford held the key to solving the case. "There is no doubt that either a relation or someone who was close with the Pholi family holds vital information about what happened to Bradford," he said. "It's vital we attempt to establish the identity of the mystery man who went with Bradford's mother to report him missing. "We hope this inquest will help unearth information about him that as yet remains secret." Ms Pholi told police her son had disappeared soon after midday on Boxing Day, 1982 while catching a train to visit his aunt at Newtown. The Carlingford Public School student was dressed in blue shorts, green thongs and a blue-and-yellow "Life. Be In It" shirt. Ms Pholi told the media at the time station staff had seen her son boarding a train at Eastwood railway station and that she had been scouring the streets of Kings Cross and Darlinghurst looking for him. "It's not like Bradford to vanish like this - he has never been one of those kids who goes missing," she told the The Sun newspaper. "But he does talk to strangers, although I often warned him not to, and I'm afraid he may have met up with someone on the train." Police at the time investigated the possibility Bradford had joined a gang of "runaway children", as there were reported sightings of him in Kings Cross during the new year period of 1982-1983, but said that was only one line of inquiry. AFTER 10-year-old Bradford Pholi went missing from his Sydney home in 1982, the young man who'd previously lived in the house developed a "gut feeling" something bad had happened. Sixteen years later, Grant Austin began having dreams the boy was buried under the front steps of the property. He was so convinced he took shovels to the house, in the western suburb of Dundas, to dig underneath it. He even called Crime Stoppers to tell authorities about his suspicions, an inquest in the Westmead Coroner's Court was told as it opened on Tuesday. But police found no trace of the boy's body, despite sifting through nine tonnes of dirt and rubble from under the house. The inquest was told Mr Austin, then 18, lived in the house in the months immediately prior to the Pholi family. The home was soon at the heart of a police investigation as officers tried to find out what had happened to Bradford, who disappeared soon after midday on Boxing Day that year. He was last seen at Eastwood railway station on his way to visit an aunt at Newtown. His mother Lorna Pholi reported him missing 24 hours later. Police were told by friends and neighbours that Lorna had been violent towards the boy in the past. "In my opinion . . . it is likely the child is deceased and if she were alive today, Lorna Pholi would be considered a person of interest," Detective Inspector Darren Newman told the inquest. "There's no evidence to suggest anybody else was involved." Sightings of the boy in Darlinghurst and Kings Cross were reported to police, but Insp Newman said police suspected "foul play". Mr Austin told police, in a statement read to the inquest, that he'd always had a "gut feeling" something bad had happened to Bradford. He told police the dreams telling him the boy was buried under the house began in 1998. Outside court, he told reporters he took shovels to the home so he could investigate that possibility. "I never felt I was right, I always just thought maybe the police would go and have a look for him. I was prepared to be wrong," he said. "My whole aim has actually been not only to help Brad, but also help the family." Bradford's sister Anita and her brother Bernie Pholi, who were 13 and 12 when their brother went missing, told reporters that police did not do enough to find Bradford. "We do not think the police have done a good enough or hard enough job to find our brother," Anita said. "All we would like is our brother just to be found, alive or dead, so we can get closure and get on with our lives." An inquest into the disappearance of a boy in western Sydney 26 years ago has been adjourned while police investigate new information. Bradford Pholi, aged 10, was last seen by his mother leaving his home in Warwick Road, Dundas, on Boxing Day 1982. He was supposed to travel to his aunt's home in Newtown but never made it. The inquest was yesterday afternoon adjourned until Thursday 6 August by Deputy State Coroner Carl Milovanovich to allow police to investigate new information. Detectives from Rosehill Local Area Command are making inquiries into new information heard yesterday that Bradford may have disappeared while walking from his home to Eastwood Railway Station. Police would like to speak with any person who lived in the Dundas, Carlingford, Eastwood or West Epping areas in 1982-1983 and who has any information relating to Bradford's disappearance. Rosehill Local Area Command Crime Manager, Detective Inspector Darren Newman, said it was a tragic and rare case of a young child disappearing. "Bradford's surviving siblings, Anita and Bernie, were only children themselves when he went missing. They deserve closure and I appeal to anyone with information to come forward," Detective Inspector Newman said. "Police will be investigating a number of new lines of inquiry identified during the inquest, including information about a former male friend of Bradford's mother. "We are also seeking help to identify the mystery man who attended Eastwood Police Station with Bradford's mother, Lorna Pholi, to report the boy missing on 27 December 1982. We believe this person may be able to help us to piece together Bradford's last movements. "I am hopeful that the passage of time does provide the opportunity for someone with a guilty conscience to come forward," he said. "Police would also like to identify any staff who worked at Eastwood Railway Station in late 1982 or 1983 and may have knowledge of the boy's disappearance. "Somebody knows something about this disappearance and I would urge them to come forward," Detective Inspector Newman said. Anyone with information about the case is urged to contact Crime Stoppers on 1800 333 000. Information can be provided anonymously and in the strictest confidence. The NSW Coroner has today returned an open finding in the disappearance of a 10-year-old boy who was last seen leaving his home in Dundas 27 years ago. Deputy State Coroner Carl Milovanovich has been inquiring into the disappearance of Bradford Pholi who was last seen as he left his home in Warwick Road on Boxing Day 1982. The case has now been referred to the State Crime Command’s Unsolved Homicide Squad. NSW Minister for Police, Michael Daley, yesterday announced that the NSW Government would offer a $100,000 reward for information relating to Bradford’s disappearance. Rosehill Local Area Command Crime Manager, Detective Inspector Darren Newman, said while the inquest had reviewed all the available evidence to date, it also emphasised the need for new information to solve the mystery of Bradford’s disappearance. “I have sat with Bradford’s sister, Anita, for the four days of this inquest, and still we have no answers for his family,” Det Insp Newman said. “We are hoping the Minister’s announcement will be a financial incentive for people to come forward with information, where previously little assistance has been forthcoming. Bradford was only 10 years old when he set off for his aunt’s house in Newtown. He was never seen again. “Aside from his disappearance, there are other areas that we have been unable to clarify. 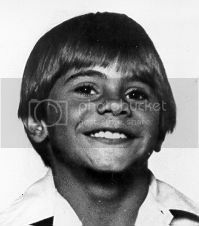 This includes the identity of a man who accompanied Bradford’s mother to report him missing on December 27, 1982. We are firmly convinced that there are people who lived in the area and would have been out and about that Boxing Day in 1982 and may have seen this little boy walking along the footpath. Anyone with information about the disappearance of Bradford Pholi is urged to contact Rosehill police or Crime Stoppers on 1800 333 000. A senior police officer says the investigation into the fate of a 10-year-old boy who disappeared in 1982 will not close until the truth is known. New South Wales deputy coroner Carl Milovanovich returned an open verdict after an inquest this year. Deputy coroner Carl Milovanovich found that Bradford Pholi is now dead and was probably assaulted or abducted 27 years ago. He says police at the time did not canvass for possible evidence in the right areas because they had incorrectly concluded the 10-year-old boy had run away. "There is no evidence to support early theories that Bradford simply ran away," he said. Detective Inspector Darren Newman says he is frustrated that the disappearance of Bradford Pholi 27 year ago has not been solved. He says he hopes a new $100,000 reward will help shed more light on what happened. "I firmly believe that there's someone out there who has information in relation to this case," he said. Detective Newman says the coroner has ruled out any involvement by Bradford's mother and has opened some new avenues for the unsolved homicide team to pursue. Bradford Pholi's sister Anita also appealed for someone to come forward to bring closure to he family. "I am asking the public please, it's coming up to Boxing day, it's 28 years this year," she said. Anita Pholi has been critical of the police effort in the past, but says she is now satisfied with the legal process, despite the open finding. "Whoever knows anything, and you have got to remember money talks, so please I just want closure, I just want to see my brother, or bury my brother," she said. The New South Wales Coroner's Office has recently discovered that there are 350 long-term missing person cases which have remained open on police books. Why has it taken them 27 years? ANITA Pholi wishes police and media had been as interested in the disappearance of her 10 year-old-brother when he went missing 27 years ago as they are now. The Dundas woman, still in deep grief over the apparent murder of her brother Bradford, believes her brother or his remains would have been found by now if police had not been so indifferent when his mother reported him missing on Boxing Day 1982 when he set out to visit his aunt in Newtown. Only now has a $100,000 reward for any ``significant information’’ on the case been posted, following NSW Deputy State Coroner Carl Milovanovich’s finding that Bradford Pholi was murdered in unknown circumstances. Mr Milovanovich has recommended that in future, all unsolved missing persons cases be referred to the coroner after 12 months. But that is cold comfort to Ms Pholi and her brother Bernie, who now feel there is little chance of finding their brother’s remains, or any information about his disappearance. Their broken-hearted mother Lorna died in 1987 at the age of 37, leaving 17-year-old Anita to raise Bernie. Adding to the family’s pain was the suspicion that Lorna had killed her youngest son, although it was not until 2000, after she had died, that police dug under the family home in Warwick St to search for Bradford’s remains. ``You can imagine how we felt, after our mother dying and people accusing us of having killed Bradford, to have police dig up under the house,’’ a tearful Ms Pholi told the Parramatta Advertiser in an exclusive interview this week. While Ms Pholi is full of praise for police involved in the current investigation, she feels the case was wrongly handled in the beginning because they are an Aboriginal family. ``Police thought Bradford had run away but he would never have left mum. He had often travelled by train to Newtown to see our aunt but Bernie and I often went as well,’’ Ms Pholi said. ``On that day, I had slept in and Bernie didn’t want to go. Police say Bradford’s mother and an ``unidentified man’’ they want to question reported him missing at Eastwood police station on December 27. But Ms Pholi said she and her mother visited the station late on Boxing Day when he had not returned home. ``But we were told that they could do nothing until he was missing for 24 hours. They didn’t even write anything down,’’ Ms Pholi said. ``My mother went back the next day but not with a man she was on her own. * ON December 17, Police Minister Michael Daley announced a $100,000 reward for information relating to the disappearance of 10-year-old Dundas boy Bradford Pholi in 1982. The reward offer came ahead of the final day of the coronial inquest which found Bradford had been murdered in unknown circumstances. Bradford was last seen leaving his home in Warwick Rd, Dundas, on Boxing Day 1982, on his way to Eastwood station to catch a train to his aunt’s house in Newtown. Mr Daley said he hoped the reward offer would encourage anyone who lived in the Dundas, Carlingford, Eastwood, Parramatta, Ryde or West Epping areas in 1982-83 to contact police if they remembered seeing Bradford walking along their street. Rosehill command crime manager Det-Insp Darren Newman said the reward ``may encourage someone with a guilty conscience or someone who may have been told something about the disappearance to come forward’‘. Since the reward was posted, a few people had come forward with information but there had been ``nothing substantial’‘, police told the Advertiser. The case has been referred to the State Command’s Unsolved Homicide Squad. Bradford Pholi, will have been missing for 30 years this December. The Dundas boy was just 10-years-old when he disappeared after leaving his mother’s home in Warrick Road, on Boxing Day, 1982. At a coronial inquest three years ago, deputy coroner Carl Milovanovich found that Pholi must be dead and was probably assaulted or abducted. ‘‘There is no evidence to support early theories that Bradford simply ran away,’’ he said. ‘‘I firmly believe that there's someone out there who has information in relation to this case,’’ he said. Bradford’s mother died in 1986, just four years after his disappearance. But his family hold on to the hope that someone will one day come forward with information that could bring them closure. 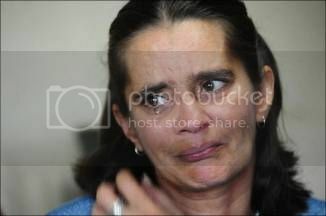 After a $100,000 reward for information was offered in 2009, Bradford’s sister Anita appealed for help. ‘‘I am asking the public please,’’ she said. ‘‘Whoever knows anything, and you have got to remember money talks, so please I just want closure, I just want to see my brother, or bury my brother,’’ she said in 2009. Ms Pholi is still waiting. Bradford, who would be 39 now, was last seen around the Dundas, Carlingford, Eastwood, Parramatta, Ryde or West Epping area, after leaving on his own to visit his aunty in Newtown. National Missing Persons Week, from this Sunday to Saturday August 4, is a chance to refocus the light on missing people like Bradford. Anyone with information about Bradford’s whereabouts can contact Crime Stoppers on 1800333000.